Beautiful 3,163 sq. foot "Farmhouse" 2 story home in the Lake Community of Harmony. 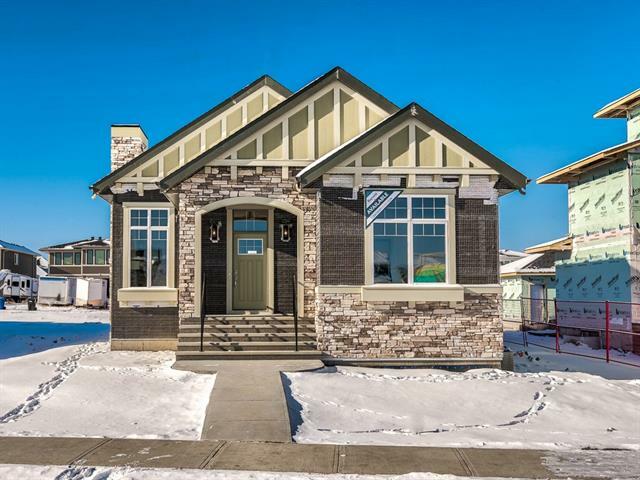 This 4 bedroom home features a very open floor plan including 10' high main floor ceiling along with 9' ceilings to the upper floor and sunshine basement. With a covered rear deck as well as a second floor rear deck, views from the south exposure rear yard to the mountains is awe inspiring. 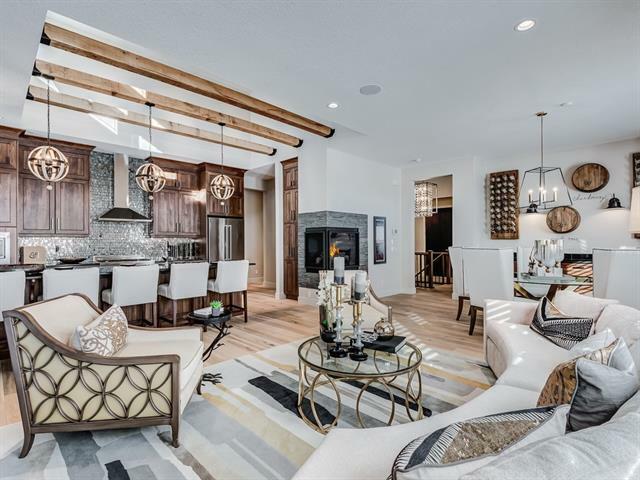 Featuring vaulted ceilings in the Master Bedroom and Ensuite, Bedrooms #2 and # 3 as well as a tray ceiling in the Bonus Room provides a dramatic feel to the upper floor. For the car enthusiasts, the 41 foot long triple garage allows room for a workshop or motorcycles as well as providing ample space for your vehicles. This home is where Harmony Dreams begin ! The Master Planned community of Harmony will include the largest and deepest man made fresh water lake in a residential area in Alberta which in turn will provide homeowners the ability to fish in a stocked lake, use the lake for boating, swimming paddle boarding etc. When complete, this area will feature over 35 kilometers of pathways, a K to Grade 8 School, an outdoor skating rink as well as numerous other family amenities. The Village Center will have shops, restaurants, an Arts Building, Medical / Professional building and include the Marina. Additional Shopping will be available at Bingham Crossing, approx. 3 Kilometers away. Come and view this exceptional home located in what is sure to become the Jewel of the West Side ! Home for sale at 11 Prairie Smoke Ri Rural Rocky View County, Alberts T3Z 0C5. 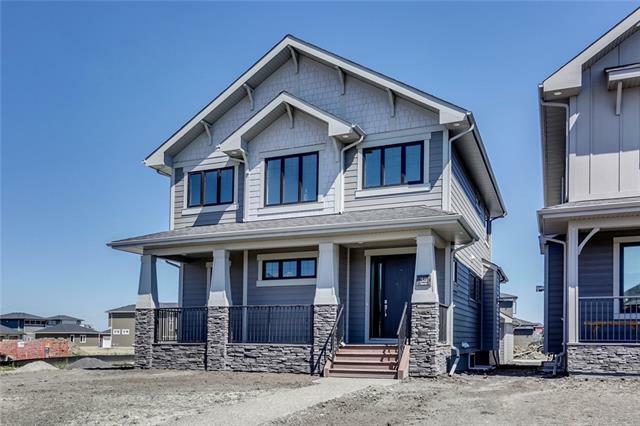 Description: The home at 11 Prairie Smoke Ri Rural Rocky View County, Alberta T3Z 0C5 with the MLS® Number C4201439 is currently listed at $1,199,900.